Square Enix has finally announced that Final Fantasy VII will be re-released on the PC as part of the series 25th Anniversary celebration. 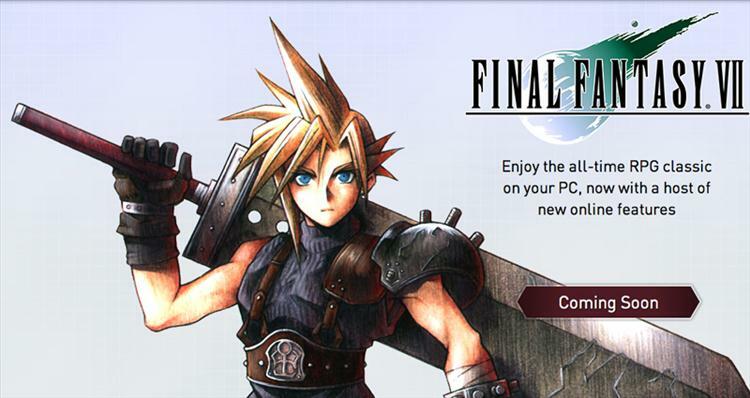 There has been some speculation for the past several weeks that a remake of the classic game would be announced when it was discovered that Square Enix registered a new domain called "Final Fantasy VII PC". As it turns out, this is in fact not a remake but a re-release of the original game, just with some enhanced graphics and bug fixes. But if the games announcement trailer is to be believed, it looks like those graphical enhancements are almost non-existent. However, there are some new features that have been added to the game. There will now be a cloud saving system and game editor that will allow players to "maximize characters health, magic, and money." How this is editor is going to be used remains to be seen, but some think it will undoubtedly be used for cheating. Along with these new features there will be a new in-game achievement system that a will allow players to explore new facets of the game, as well as share their progress with friends. A release date has still not been set, though it is "Coming Soon." Still, it must be said that even though some will be unhappy that this is not a remake, Final Fantasy VII is still one of the greatest games ever made (at least in this writers opinion). Barring any type of screw up on the part of Square Enix, it will still be worth a buy to many gamers worldwide. For more information regarding the re-release of Final Fantasy VII, be sure to check out their website here.